I've always loved the episodes that MGG directs. He seems to have a unique perspective into the character of the regular cast and in the way that they interact with each other and the guest stars. This episode promises to be super spooky. It will be hard to top "Mosley Lane," but I have faith you can do it, MGG!!! In a year when there have been many, IMHO, weak episodes, I hope and trust that this will be a standout. Looks to be just the kind of creepy story that he loves best. Thought last week's ep was relatively good by this season's standards, but again well below the quality level of earlier seasons. Morgan maintaining control despite his strong emotions, instead of losing it and pounding the unsub, would have been a lot more satisfying and less melodramatic for me. I think throughout this season all of the characters have been written as "stock" versions of their earlier selves, without subtlety and depth they had before. Gotta be boring for the actors, who are just so much better than that. Not terribly interesting for me as a viewer, either. I'm surprised and a little bummed that there are not more peeps on here, blogging about MGG's upcoming eppy. I know it was a repeat this week, thus fewerof you thinking about CM...wait, I am ALWAYS thinking about CM and cannot wait to see Matthew's Heathridge Manor! Sounds really good and I'm sure he has done a great job. I would not be surprised to have this be a highlight of this season, which is better than last year but still not so good as S-4 and 5. IMO. I am really looking forward to Matthew's episode. I loved both Mosley Lane and Lauren. I have really enjoyed much of Season 7. There were several episodes that were not my style but they may be the ones others loved so I think variety is a good thing. I am trying to stay away from spoilers because if they don't pan out I tend to get disappointed so I am letting myself be surprised. I am so happy we know there will be a Season 8.Please sign MGG so I can stop stressing over it. Thrilled about the 2 hour finale. Again, looking forward to Wednesday night. "I'm surprised and a little bummed that there are not more peeps on here..."
I'm bummed too, but not so surprised. I've been noticing dwindling posts for a while now, and blame it on all the vitriol. Really looking forward to MGG's ep and hoping for lots of celebratory posts afterwards. I am looking forward to this episode, and think Matthew will do a great job directing it, i loved what he did with the Lauren episode, and that is still my all time favorite. Personally, i think Matthew will be back for season 8, CBS will do everything they can to keep him, they can't afford to lose another cast member, now that Paget is leaving. But as in season 6, Matthew starts getting his Headaches back, then i would start to worry. Looking forward to more MGG episodes. I'm super pumped for this episode. MGG is a hell of a director. The cast has awesome chemistry, and the guest stars are great! Juliet Landau has been a gem going back to the Buffy the Vampire Slayer days, and Robert Englund always makes for a nice creep factor. I didn't even start watching Criminal Minds until season 6, and now I'm so completely hooked! Only 10 hours and 20 minutes til MGG's eppy - I'm very excited! Don't be afraid to get on here, you east coasters who are 3 hours earlier than me and post your thoughts - especially the good ones:) I LOVE to be spoiled! Agreeing with the Anonymous (2 above allysemhauser), I hope to see some "celebratory posts" here rather than "vitriol"; I love to hear positive things about CM and, pls try and remember, folks,THEY CAN'T PLEASE ALL OF THE PEOPLE ALL OF THE TIME. But I am sure that Matthew will give it his best shot, so let's show some support here:) Love you, Matthew! A great interview with MGG about this episode on TV Guide. Talks about it being a psychological thriller that doesn't show the gore. I can't wait to see it. I'm with Matthew and the other poster who prefers having my imagination triggered to in-my-face gore. I am looking forward this episode SO, SO much! Another poster said, a while ago, that CM seems to be copying NCIS too much in that respect and also with the practical joking and so forth. I really agree; they have their fan base and IMHO CM's fan base is looking for something different. Not to say one can't like both shows but CM had always stood on its own unique strengths: in-depth behaviorally-based profiling and complex character back-stories. Sorry to be running on but very glad that MGG spoke his mind. After all, we did lose Mandy Patinkin over this very issue. I didn't care much for that one. It would've been a great episode of something not Criminal Minds and honestly, why does CBS bother to hold on to and pay that large ensemble cast when they've become little more than window dressing for the unsub of the week most weeks. They've always been on the peripheral of the case of the week, but these days they're barely getting a window seat. We went from that wonderful episode full of team work, profiling and characters with emotion and personality, right back to the unsub monopolozing the screen and the characters stiffly delivering dry dialog. Sorry Gube, as a stand alone episode of something else it'd probably be pretty awesome, but as an episode of Criminal Minds it missed the mark. I do plan to rewatch it as a creepy, scary ghost story or whatever it was and pretend it's not Criminal Minds so I can allow myself to try to appreciate the storyline. Oh, and there may not have been in your face blood and gore, but watching a person be drowned one bucket at a time was pretty awful. I really liked this episode. It was completely different than what Criminal Minds typically does, and I liked the creepy/cool gothic fairy tale/romance it was. It definitely matched up well with what Matthew likes to direct, and he was a perfect fit for this episode. He definitely did add a lot of touches that were very different, and I think enhanced the story. The story was so weird that it needed stuff like that. It was a more slower paced episode from a directing standpoint, which allowed time to linger on creepy images and implications (like the whole brother/sister romance). Of course due to the nature of this story, there would be a lot of unsub. But I think it was important to fully understand what was going on. This was definitely a story that needed to be shown and not told to the team by Penelope in the third act. But everything you saw from the unsub was mirrored by the team. The team was definitely featured and was profiling throughout. Of course Reid wasn't featured heavily, but he made significant contributions that propelled the team's understanding of what was going on. It made sense due to his genius, eidetic memory and ability to weave disparate elements into a coherent whole. I think Matthew did an amazing job with this episode, and I would love to see what he would do with a similiar type story for a feature length film. This was a good episode. I give it two thumbs up. Gubler did a good job, he is a perfectionist so I didn't doubt he would. My full (and very long) review goes up on The Celebrity Cafe sometime tonight, it's already been submitted. But did anyone else think Robert Englund was totally pointless? Matthew mentioned in one of his pre-episode interviews that he likes to cast against type, e.g. Robert Englund in a more innocous role rather than the bad guy. This was yet another episode that was centered on the unsub. 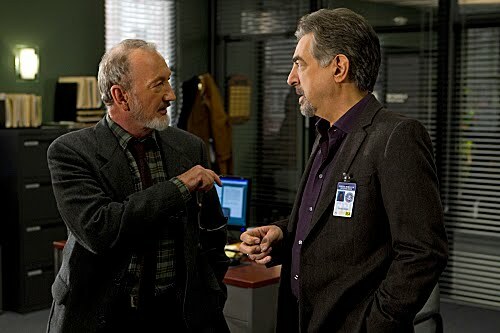 It was somewhat interesting (I'd give it a 6/10), but Criminal Minds is supposed to be about the team. I'm beginning to think that this is the new format of the show, and team-centered episodes like "Foundation" will be few and far between. Could have done with less unsub, but it wasn't the worst episode ever. Sure, it was far, far, far from the best but it wasn't anywhere near as bad as Cold Comfort. Sort of sad that it was so forgettable. I miss really good episodes every week. 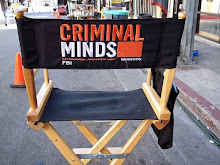 I will watch Criminal minds until they stop making episodes, or fire MGG. I love his work both as an actor and a director. I think this episode was wonderfully made. I think he did a great job directing! BUT...And I hate to say but...But nothing about the story really caught my attention. I mean the idea is ok, and creepy and could have been really good...But I am SICK of aaaaaalways seeing the unsub! Why wasn't Reid and Rossi with the team at the end? I did however like the end, that it didn't end with a happily ever after moment with the team, like Hotch's marathon or Reid's birthday party. I LOVED those moments, but when you have them every episode, it's so forced. I LOVE them when they come every now and then, though, don't get me wrong. They just have to come naturally. I guess I just feel like with episodes like this and the one with the boy and girl killing on their honeymoon that the team is just there, going through the motions. I don't remember one single line that they said in the episode. Nothing that stood out. I'll watch it again though. An off CM episode is better than any good episode from any other show. Obviously I was very disappointed last night because I never bother to log in immediately after an episode and express myself and last night I just couldn't help myself. As I said in my comments, it's not a bad little story and would've made a great creepy, ghost story of the week for some other program, it just wasn't Criminal Minds. MGG did a fine job with it. He can't control what the writers write and did a fine job with what he was given to work with. For him, I'm sure it's all about the work and the material and that whether or not it held true as an episode of Criminal Minds or whether or not the characters that at one time made this show so watchable were pushed to the background was irrelevant to him and that's cool, I think it's adorable how excited he gets over his work. He's probably destined for great things as a director if he maintains that passion for the things he truly loves about the business he's in. So to sum it up, good work by MGG, but not a very good episode of Criminal Minds IMO, but hey, they can't all be stellar and next weeks looks promising. I'll just remember to go back to what's been keeping me in a happy place this season and that's to have no expectations and to just enjoy it or in the case of some episodes this season, not so much. Sorry, if I spoiled the enjoyment of the episode for anyone. If this isn't allowed feel free to delete. This is my long but in depth and amusing review of last nights episode. I have a weekly column on Celebrity Cafe which is a big honor. Did not get to watch last night, but honestly, really did not miss it since this and last season have been off track. After reading the comments here, doubt I will even bother. CM is not the same show it used to be (seasons 2-5), and that was the only reason I watched was for the uniqueness, actors and writing skills. The personal drama and unsub centric direction is not interesting or challenging. For whatever reason the format has changed, and seems to be the direction of the show. Glad others like it, but it is not for me. I watched the episode last night and to be honest I didn't like it I thought that MGG was writing and directing it.When I saw it I was like wow this wasn't good at all, it was nothing like the "Lauren" episode. I know that it was a totally different type of episode but I thought that it would be like the others he's directed. When I was reading the credits it was then I saw that it was a Sharon somebody who actually wrote it. didn't see it from the beginning but at first I didn't get it, I didn't understand what it was all about. I later realized that it was the guy's mother who was making him do the murders and then going after his own sister. But by the end of the episode I thought that it could have stayed. Honestly I hope that next season will be much better and every episode will be consistant. I was really excited when I heard that there would be another MGG directed episode. Because I loved Mosley Lane I had high expectations of this episode although this season is not from the same (high)standards as previous did. I must say that sometimes I had the feeling of teamspirit again when for example Reid figured out the numbers were dates or that the UNSUB didn't admired the devil but tried to defeat it ( his idea of how to do it wasn't really what you can call noble like his mother believed).I also thought that the little details like her arm and the dresses were great and I agree that the torturing in the water was terrifying but that's CM right? For me it was a good episode, bit I agree there were better ones. I just think its maybe a step to how it was in previous seasons. Also I don't get why some people didn't liked season 6? I thought that episodes as Corazon, Coda, Supply & Demand,... were quite good? Its my opinion of course, but I have good faith that next season will be beter again. P.S. English is not my first languages so sorry for the possible mistakes. How sad...gone are the days when by this time in the week after a new eppy showed, there would be hundreds of posts on here:( The good ol' days - I miss 'em! I thought Matthew's directing was great but the storyline was not. It took me awhile to catch on, but not in a suspenseful way - more convuluted. All the guest acting was good, altho' once again, we are seeing more of them than we are of our team, which is disappointing. I found the actress who played the sister to appear WAY older than 16 and that seemed like poor casting to me altho' the two did look like sibs. Not the worst but not nearly as good as I had hoped for. No fault of Matthew's - you can only do so much with the writing you've been given. I also agree with other posters that this seemed like a dif show altogether, not like CM. Which does not feel good to me - I like "familiar" and that was missing:( I'm not sure that watching it again would make me like it any better, but I may try, if I have time. Madeline Martin- the young woman who played Lara the sister- is only 18 years old. So while she may look older, she is well within the age range to be cast in that part. I'm willing to be she didn't look dramatically younger when she was actually 16. Thanks, LaShawna! I googled her and she will be 19 in just a few more days, but I think she still she's quite a mature-looking teenager! Someone else remarked about it too, so I'm glad it's not just me:) Maybe I'm just remembering how my kids looked when they went to their proms in recent years...I liked that she could sew, tho' - most young people these days cannot even sew on a button, so that was interesting, too, not just her prosthetic arm. And let's not even start talking about her creepy brother...the poor girl, I felt sorry for her. Have a good holiday weekend, y'all! And *another* Morgan episode next week???? Yawn squared! I liked it. I like the way they mix up the styles of episodes. Last time we had Foundation which was very much Old School CM. This week we have the hauntingly atmospheric Heathridge Manor which had many elements that remind of The Fisher King - and I kind of agree with another poster that this could have made a fabulous two parter. Things change, people change and grow and it is unrealistic to try to preserve things in formulaic aspic. As for the Unsub debate, I see no more or less merit in knowing the unsub from the off than in having some totally unknown and unseen unsub appear at the end to be shot or captured. The only time it is essential not to know the unsub is when you have characters throughout the episode who could be that unsub. For example and off the top of my head, and it is very early in the morning here in the UK!, I recall episodes from Season One (Somebody's Watching and Broken Mirror) where the unsubs appeared throughout so it was both a shock yet made perfect sense when they turned out to be the murderers.IMHO. I thought there were some good bits - the sets, the lighting, the long shots, the close-ups. Many of the scenes would have made lovely still photographs. I was especially enamoured of the old furtniture, the gramophone and the music they played. But mostly, in terms of narrative interest, i felt absolutely nothing. Wasn't scared, disgusted, saddened, angered. Nothing. I didn't think the acting was great, either. However, it's not one of those episodes that i actively dislike. That would be Corazon, The 13th Step, Hope and Snake Eyes. To me, this one was somewhere between not memorable and forgettable. I do look forward to the next episode, however. Much has been said about showing the unsub too soon. I believe, however, that's not what the problem is. It's that we've been spending way too much time watching what the unsubs are doing to their victims. And therefore not enoough of what the team is doing to weed them out. I loved Foundation, and hope the next episode is another great Morgan story. IMO, he has been written really well this season. Watched it a second time last nite. Appreciated Matthew's directing even more but the writing still left me scratching my head. Didn't like the eppy much more and will not be tuning in to A&E or ion to see it again in the future. But I guess I would have to say that applies to most all of S-6 and much of S-7. Foundation was quite good and I am looking forward to next week's eppy. I don't like always seeing the unsub right off the bat and knowing it, but that doesn't bother me as much as the guest stars getting the majority of the screen time and our team being left out. Not only do we miss much of any team interaction,and the "cookies" & peeps into their personal life we love, the profiling element is lessened as well. JMHO. http://yellowcricketsharmonies.blogspot.ro/2012/06/matthew-gray-gubler.html A little something our favorite character impersonator said. :) Just to make all of us smile. Did not get to watch last night, but honestly, really did not miss it since this and last season have been off track. After reading the comments here, doubt I will even bother. CM is not the same show it used to be (seasons 2-5), and that was the only reason I watched was for the uniqueness, actors and writing skills. The personal drama and unsub centric direction is not interesting or challenging. For whatever reason the format has changed, and seems to be the direction of the show. Glad others like it, but it is not for me.